Los Totems - The Totems are created to remind us that all life on Earth is sacred. That every species has unique lessons and wisdom to share. Each totem work is an ambassador for conservation, urging us to protect biodiversity and increase our stewardship of Earth. ALL CAPS - These Décollage works begin with the collection of precious, delicate paper materials. The materials include advertisements, notices and artworks in various stages of weathering and decomposition. The material collection and composition process leads to unique, organic works of beauty. Through this process of collecting, sorting, composing and assembling the works, various palettes, themes, commentary and aesthetics emerge. Battery Study - Battery Park is a point where the organic mother ocean meets the man made metropolis. The study is named as a reference to this meeting of organic weathering and man made markings. The Battery Study includes mark making inspired by semiotics, sacred calligraphy, handstyles, automatic drawing, weathered surfaces and the transitory nature of life. Abstract - The abstract works are mixed media reflections of organic and man made marks from the urban and natural worlds. They contemplate impermanence and omniscience. They often include a semiotic language that draws from sacred calligraphy, graffiti hand styles and automatic drawing. Charles K Williams (Charlie green) is a self taught, Canadian-American visual artist born Calgary, 1977. Williams has been creating passionately and prolifically for the last two decades. He began in the streets of Toronto in the late 90s, with 'Los Totems'. 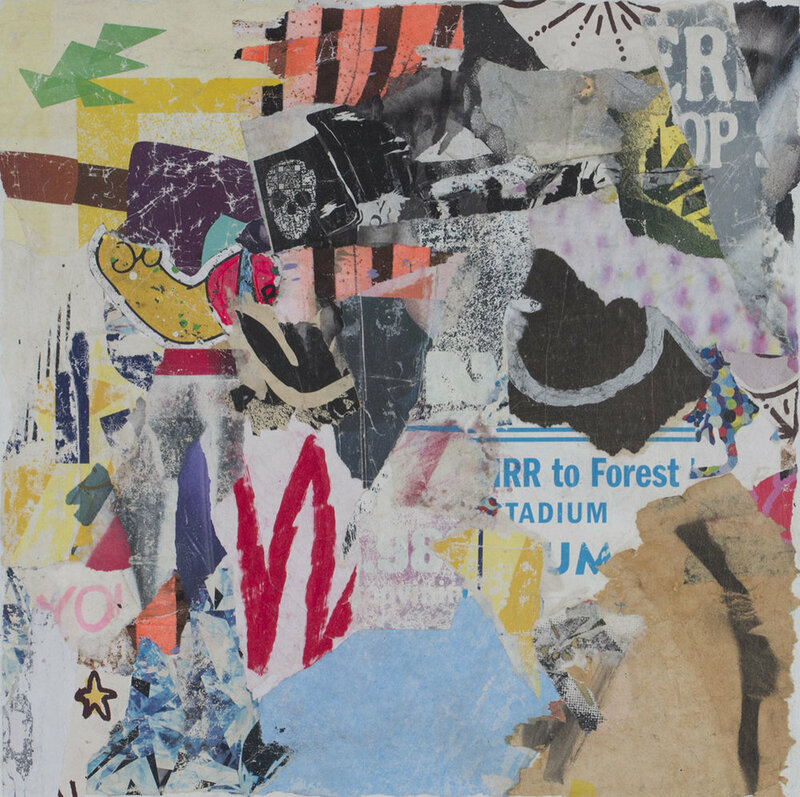 Williams relocated to Brooklyn circa 2007, and has expanded his practice to include abstract and décollage works that are strongly rooted in the aesthetics of post graffiti, graffiti removal and the weathered surfaces of the concrete jungle. His inspirations include stewardship of earth, omniscience, impermanence, the human encounter with life and death and his own daily search for beauty.